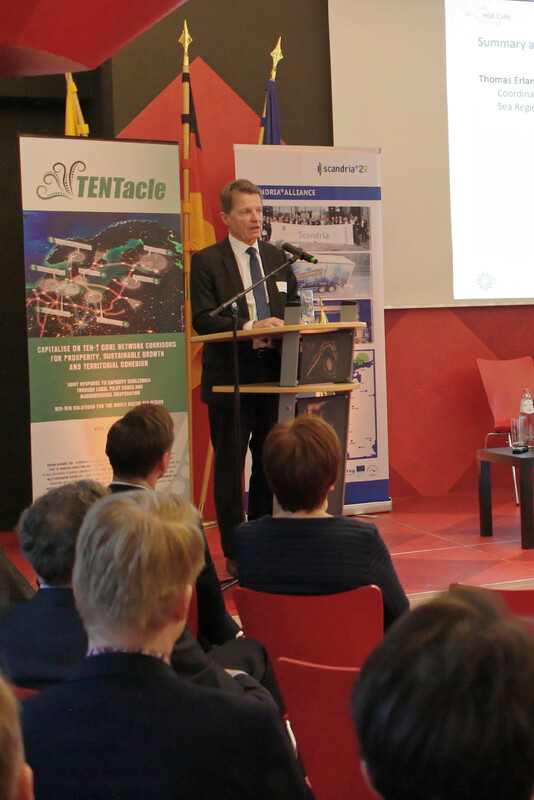 Representatives from three European Union-funded Interreg infrastructure projects held a final review conference on March 6, 2019, in Brussels, Belgium, where they provided recommendations on how to best invest and develop the Trans-European Transport Network (TEN-T) core network corridors in the Baltic Sea Region (BSR). 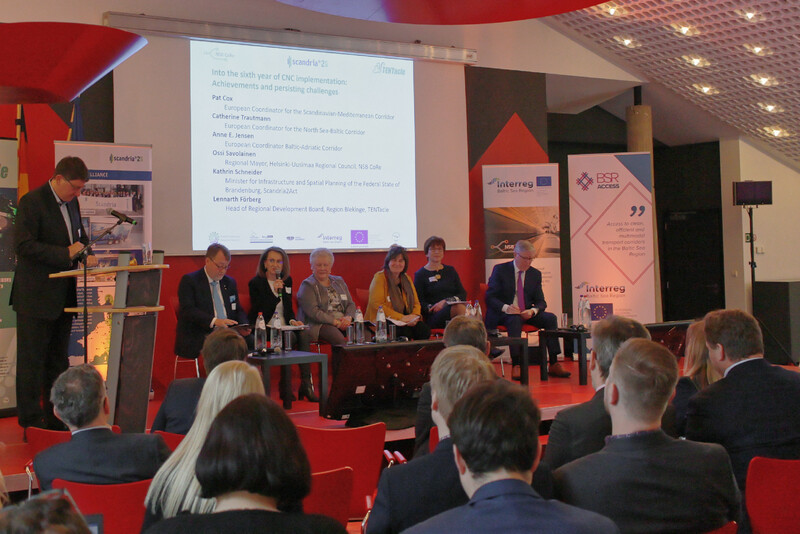 Panels from the three closely collaborating Interreg BSR Programme projects, NSB CoRe, Scandria®2Act, and TENTacle, along with members of the European Parliament, European Commission, and local elected officials, discussed the successes and challenges of their work. 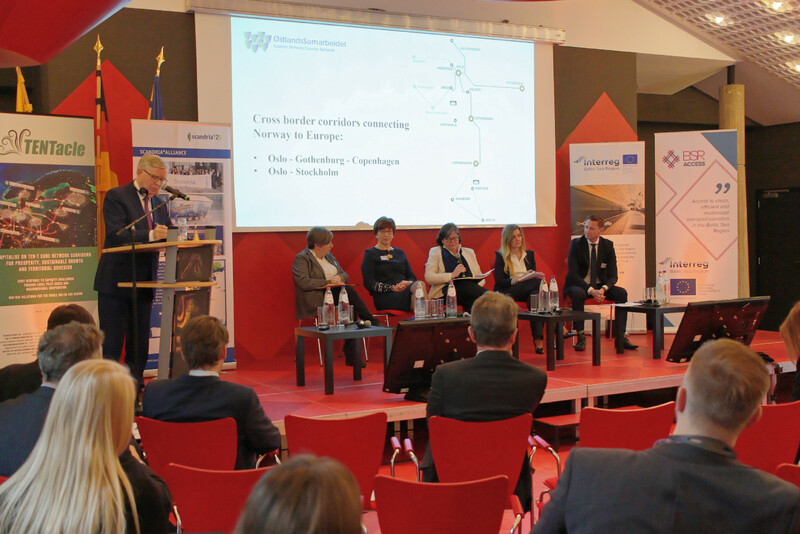 The conference, under the theme of Regions, Corridors and Urban Nodes – Competences, Capitalisation and Cooperation, focused on ways to achieve the goal of creating a sustainable and efficient transport system in the BSR as well as the rest of Europe before the deadline of 2030. The first session scenario, under the theme of “Competences,” highlighted the need for multi-level governance (MLG) to overcome administrative and legal barriers between transport authorities. Additionally, as urbanisation increases the need for long-distance commuting, effective cross-border services are necessary for well-functioning long-distance commuting corridors. From the angle of climate change, a “radical change” can happen if all clean fuels and innovative solutions are effectively used. Here, better inter-sectoral collaboration is needed between transport planning, spatial planning, and regional planning towards one cohesive strategy. The panellists also stressed that better public-private collaboration (between public authorities and private companies) is needed on environmental matters. The second session, titled Reaping benefits of large infrastructure projects on the corridors, underscored the positive changes in the society due to improved accessibility in the catchment area of the large infrastructural projects and improved quality of life and new investment potentials in the area. Those concepts need to be better presented and discussed in the corridor projects. Both positive and negative consequences of these type of projects require a qualitative approach through appropriate governance arrangements, policy responses, and business strategies. Furthermore, the role of stakeholders should be taken into account to build high motivation, increase awareness, and gain acceptance for the project. Collaborative planning and wise local and regional decisions are crucial to the success of large infrastructure projects in the BSR. 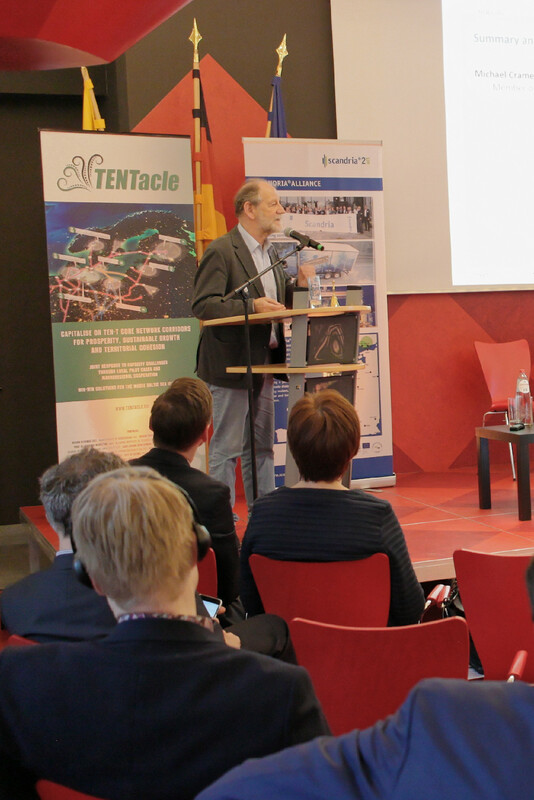 In the third scenario, discussed in a “Collaboration”-themed session, the issue of clean fuels, economic models of multimodality, and urban nodes’ responsibility for interactive communication Europe-wide were highlighted. When it comes to clean fuels, there is no “magic formula” that fits all countries at this time. The most effective political action that governments can undertake is granting upfront financial incentives to consumers when buying vehicles. Also, multimodality for cargo as well as passenger transport needs more effort from private as well as public sector. In short, collaboration should focus on innovation, be open-minded, have a long-term vision, and it needs political support and reliable partners. 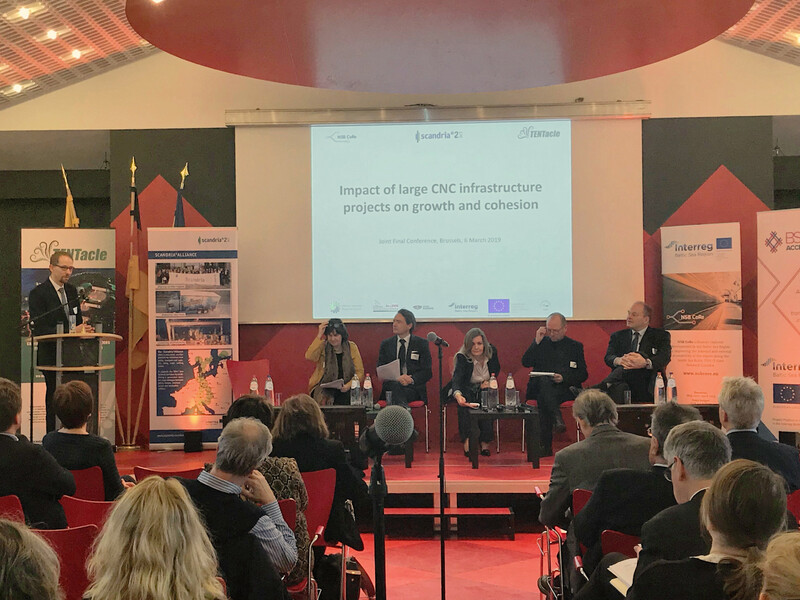 The panel discussions touched on successes of decreasing travel time and as such reducing CO2 emissions and the importance of environmental sustainability when it comes to transport planning. The panellists additionally stressed the positive impact of participation and cooperation among the local, regional, and transnational governance. The “uniquely detailed knowledge” and “a degree of understating” that have been shared among the Baltic region countries, their governments, and the project promoters, with additional assistance from external consultants, are all credited with successful progress of the projects as well as speedy and efficient funding allocation and financial innovation, such as blended financing using EU money and private sector funding. “Knowing what you’re talking about is [helpful] to make good public policy,” said Pat Cox, European Coordinator for the Scan-Med Corridor. The financial aspect of the infrastructure development in the BSR is one of the most significant challenges for the TENT-T initiative. 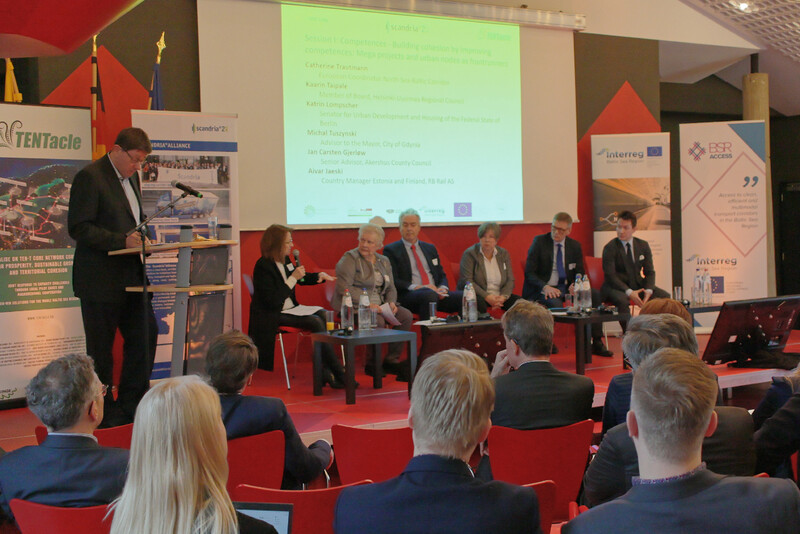 The speakers also highlighted the human factor in transport. They emphasized the significance of one of the main goals behind the TEN-T initiative which is to reach marginalized populations and give them the opportunity for overall better quality of life. 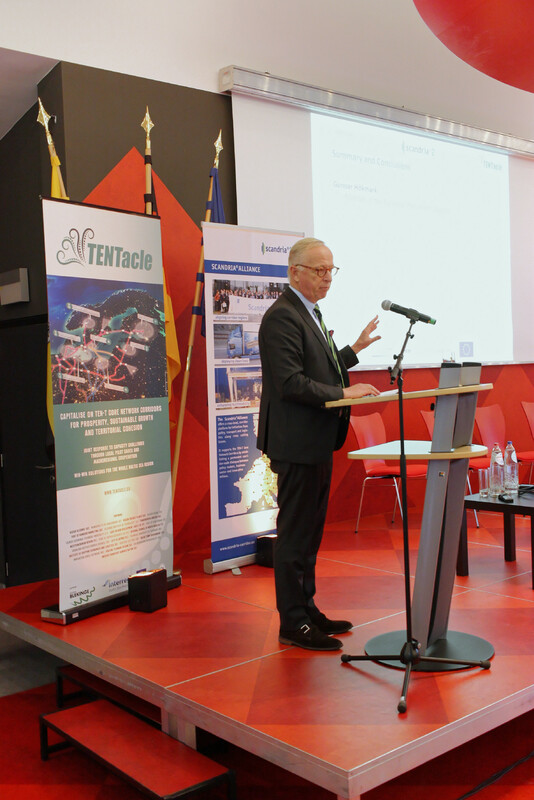 “We really need to fill these corridors with life, and that’s what the three projects are doing,” said Herald Ruijters Director of Investment, Innovative and Sustainable Transport at DG MOVE (European Commission). “This is not just about lines on a map; it’s about the citizens who are behind them.” Ruijters underscored that the corridors would provide the regional population and businesses with opportunities and a “meaningful life” long after the projects are finished. “We are allowed to dream (…) we need to have the courage to dream,” said Ruijters. Along the same lines, Trautmann mentioned her native France, and the social unrest involving the so-called Yellow Jackets, together with Great Britain and its looming Brexit, as consequences of a lack of interconnectedness where some groups, such as those in rural areas, feel isolated and ignored by political classes. 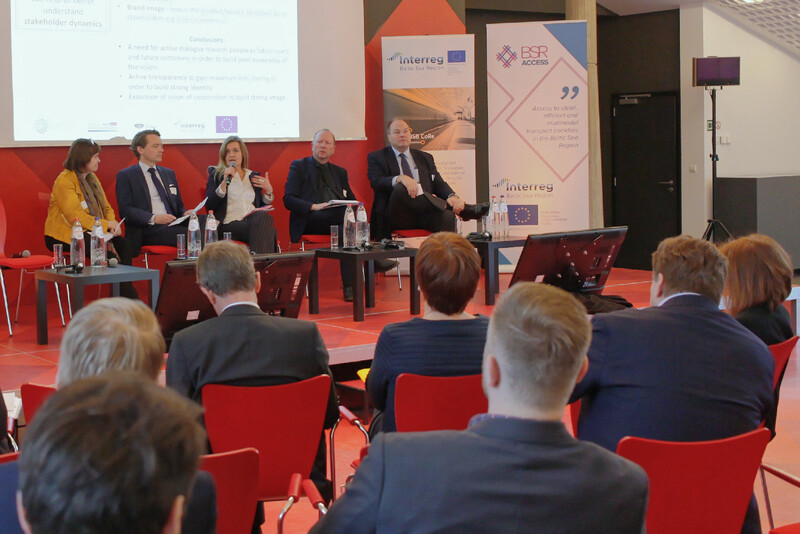 The forum clearly illustrated that while the collaboration and progress of the three Interreg projects is certainly a success story, an undertaking of this magnitude is not without its own inherent challenges. Road safety is one of the main concerns in Europe where there are around 25,000 fatalities per year, according to most recent statistics. The safety issue is related to corridor congestion and the need for better multimodal transport solutions. This is where the projects run into the “not in my backyard” mentality that often trumps the desire for new development. The environmental problem in the transport sector also needs immediate attention from governments. None of the EU Member States are on track to keep up with the requirements of the Paris Agreement, while several countries are nowhere near it. The unforeseen changing financial needs of projects that are already in progress have also slowed down the pace of growth. The need for new and innovative ways for financing infrastructure has been underscored several times throughout the conference. Concluding the conference, Gunnar Hökmark, Member of the European Parliament, pointed out what a vast difference transportation infrastructure has already made throughout the world, effectively erasing some of the economic differences among the First, Second, and Third World countries. He stressed that despite the progress and the successes of the three flagship projects, there’s still significant lack of roads and railways as well as transport funding in some areas in Europe, especially in the eastern part of the BSR. This text and the pictures were provided by the Baltic Transport Journal.